Elizabeth “Lizzie” Magie based her Landlord's Game on the teachings of economist Henry George. 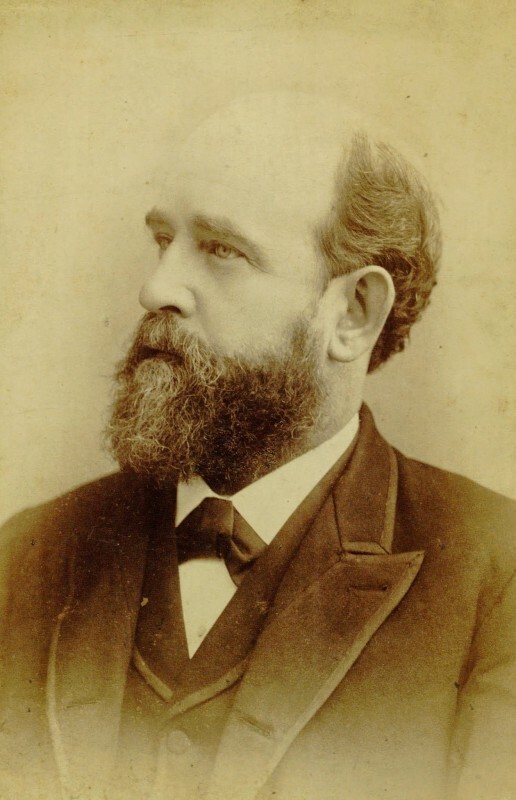 George believed that many social ills were caused by private ownership of land and promoted the idea that natural resources, especially land, belong equally to all people. He advocated a single land tax on unimproved land value. His 1879 book on the subject, Progress and Poverty, was a huge success, selling six million copies by the mid-1930s. Several communities were founded based on his principles and one, Arden, Delaware, still exists in this form just outside of Philadelphia. Despite waning interest during the socialist backlash of the Cold War era, Georgist economics continues to have support in some economic circles. 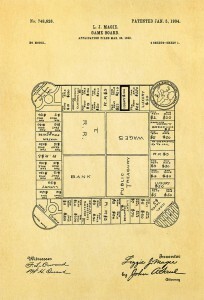 Elizabeth Magie patented her Landlord's Game in 1904. 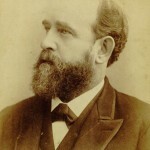 She created the game as a means of showing the dangers of monopolies to American society based on the teachings of economist Henry George. She shared the game with her friends and family and the utopian Georgist community of Arden, Delaware. The game started to be called "monopoly" shortly afterward when Professor Scott Nearing of the University of Pennsylvania's Wharton School began using it as a teaching aid in his economics classes. 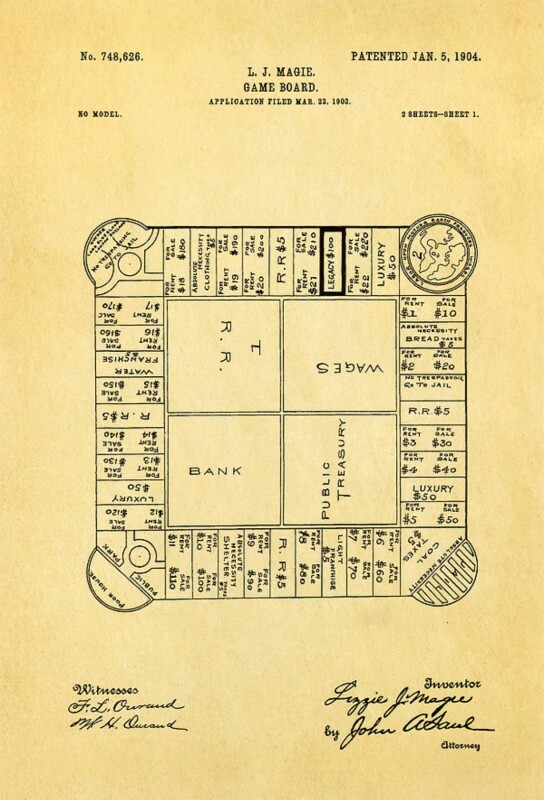 Even in 1904, the game's original design bore a striking resemblance to a modern Monopoly board. While the Atlantic City street names were not adopted until 1929, the board already included Monopoly's hallmark railroads, utilities, and corner spaces. 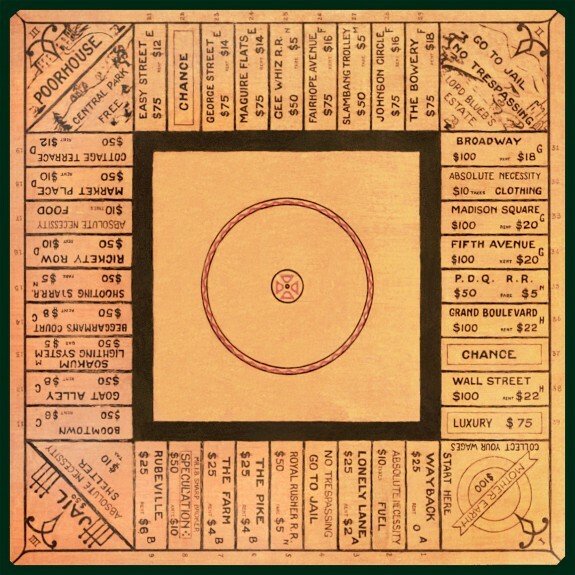 The original space names on Elizabeth Magie's Landlord's Game board were generic business and street names, as shown by the 1903 game board. Magie introduced the game to her friends and family including those in the Georgist arts community of Arden, Delaware. It was not until 1929 that the game spaces adopted the names of Atlantic City, New Jersey, streets. Quakers Cyril and Ruth Harvey, Atlantic City residents, were introduced to the game through friends and created their own game board, basing the street choices on those their friends and neighbors lived on. Other players of the game had done the same with their own boards. 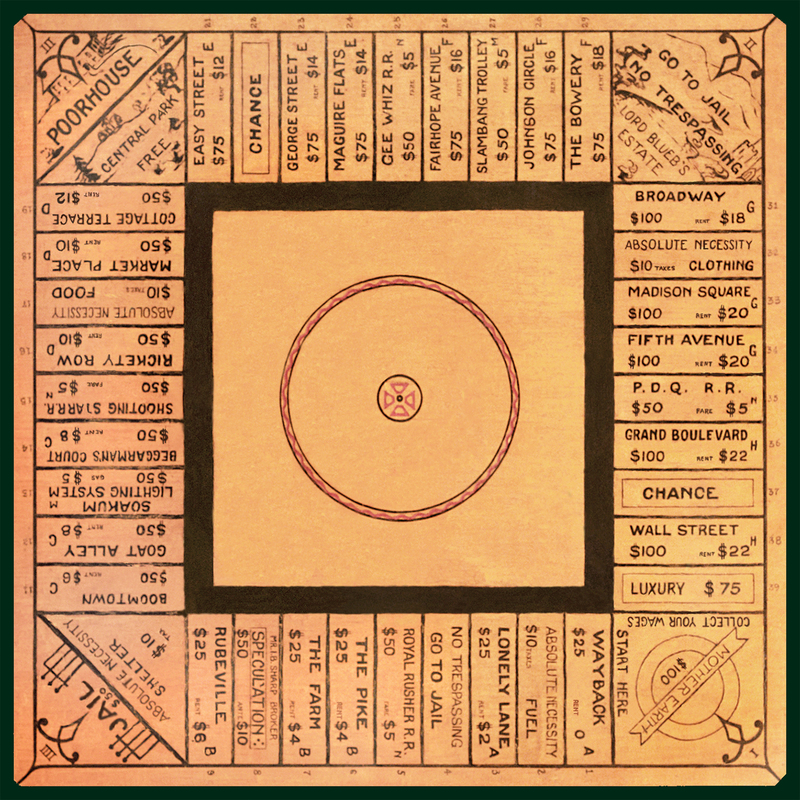 Elizabeth Magie spread her invention, 'The Landlord's Game,' to friends and family. Eventually it made its way to the utopian single-tax village of Arden, Delaware, which had been based on the same economic principles the game espoused. 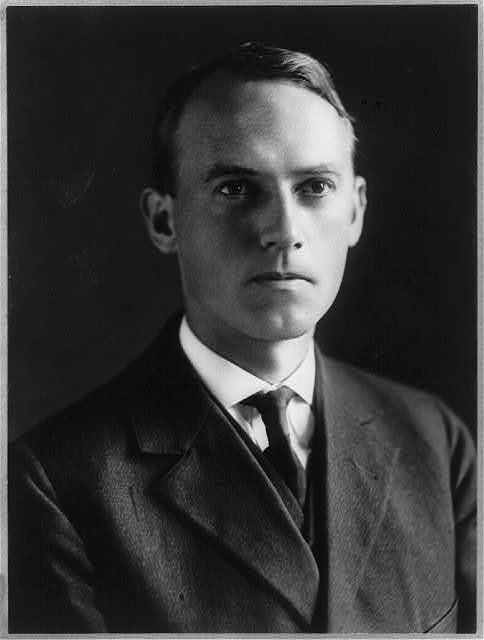 Arden resident Scott Nearing first played the game in 1910 and found it a valuable tool in teaching Henry George's principles. Nearing taught classes at the University of Pennsylvania's Wharton School of Business and used the game, which he called 'monopoly,' as a teaching tool. 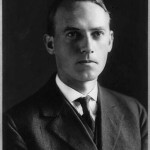 In 1915, he moved to Ohio where he took a job teaching at the University of Toledo and brought the game with him. Nearing's use of the word 'monopoly' as a name for the game later helped establish that the game was in the public domain long before Parker Brothers acquired the rights from Charles Darrow. Although an unemployed Philadelphia salesman, Charles Darrow (1889-1967), was long credited as the creator of the world’s most popular board game, the origins of Monopoly stretch several decades before Parker Brothers purchased the rights from Darrow in 1935 and beyond the iconic streets of Atlantic City featured in the game. The proper history of Monopoly began in the early 1900s when a stenographer living near Washington, D.C., Elizabeth “Lizzie” Magie (1866-1948), created a game to demonstrate the destructive and anti-social nature of monopolies as outlined by the famous nineteenth-century political economist Henry George (1839-97). Magie called her invention The Landlord’s Game. The object of The Landlord’s Game was to obtain money and wealth by purchasing properties, charging rent, and creating monopolies. 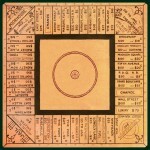 Magie’s square board included twenty-two property deeds, four railroads, two public utilities, and four corner spaces. She labeled one of her corner spaces “Mother Earth.” Each time players passed Mother Earth they collected $100 in wages. Magie patented her game in 1904. Monopoly came to Atlantic City in 1929 via Ruth Hoskins, a teacher at the local Friends School. Hoskins, who had first played the game in Indianapolis, showed it to her friends and fellow Quakers Cyril and Ruth Harvey. The Harveys loved it and soon began hosting weekly game nights. They also renamed the properties after streets in Atlantic City that had personal meaning for them. As the author Mary Pilon (b. 1986) explained in her book The Monopolists, the Harveys lived on Pennsylvania Avenue, had friends who lived at Park Place, and once employed a maid who lived on Baltic Avenue near Mediterranean Avenue. Jesse Raiford (1900-60), an Atlantic City real estate agent and friend of the Harveys, helped assign new values to the properties, which he grouped by color, and built wooden boxes to use as houses. Although Parker Brothers doubted Darrow’s claim to have invented Monopoly, the company successfully peddled it as part of the game’s official creation story. Partly due to Monopoly’s instant success—Parker Brothers sold more than 1.7 million units in 1936—and party due to the ferocity with which the company stamped out any potential competitors, Darrow soon became well-known as the sole inventor of Monopoly. 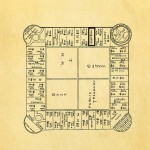 Those who had played or seen earlier versions of Monopoly and The Landlord’s Game challenged Parker Brother’s title to the game, pointing out that Monopoly had been in the public domain for thirty years before Darrow supposedly created it. One of those challengers was Ralph Anspach, an economics professor living in Northern California who invented the game Anti-Monopoly. In 1973, General Mills (which acquired Parker Brothers in 1968) successfully sued Anspach for copyright infringement. On appeal, however, Anpsach prevailed and in the process helped make the true origins of Monopoly more widely known. While Parker Brothers no longer claims Darrow invented the game, it still celebrates 1935 as the year of Monopoly’s public debut. In honor of the game’s eightieth anniversary in 2015, Hasbro Inc.—which purchased Parker Brothers in 1991—released a “retro” edition of Monopoly featuring game cards and tokens from the 1930s. For a truly “retro” Monopoly experience, however, players would need to find a copy of The Landlord’s Game. Alexandra W. Lough holds a Ph.D. in American History from Brandeis University. She is the director of the Henry George Birthplace, Archives, and Historical Research Center. Anspach, Ralph. The Billion Dollar Monopoly® Swindle. Bloomington, Ind. : Xlibris, 2010. Fager, Chuck. “Exposing the Big Monopoly Cover-Up.” The Other Side. January 1984. Ketcham, Christopher. “Monopoly is Theft: The Antimonopolist History of the World’s Most Popular Board Game.” Harper’s Magazine. October 19, 2012. Orbanes, Philip E. Monopoly®: The World’s Most Famous Game and How it Got That Way. Cambridge, Mass. : Da Capo Press, 2006. Pilon, Mary. The Monopolists: Obsession, Fury, and the Scandal Behind the World’s Favorite Board Game. New York: Bloomsbury, 2015. Warsh, David. “The Story Behind Monopoly Has as Much to Teach as the Game Itself.” The Washington Post. November 7, 1990. Anti-Monopoly Inc. v. General Mills Fun Group, Inc., 684 F.2d 1316 (9th Cir. 1982). “Monopoly 80th Anniversary Edition.” Hasbro Inc. 2015. Accessed June 26, 2015. Henry George Birthplace, Archive, and Historical Research Center, 413 S. Tenth Street, Philadelphia. A quick note — Arden was co-founded by the utopian communitarian, Philadelphia Quaker, architect William L. Price whose original architecture before World War I made Atlantic City the go-to town of the American 1920s. Atlantic City was as famous as Las Vegas is now — and its streets, hotels, and above all its Boardwalk were the image of the American leisure resort. 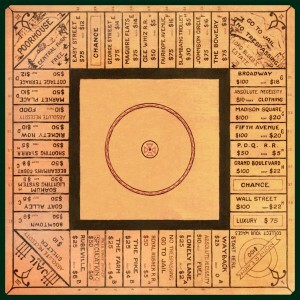 Darrow’s genius was in connecting the board game to the center of American leisure culture in the city that in the choice of its names had announced its role as a global (oceans) and national (states and capitals) game. There is an update to this story. The first Philadelphia Monopoly Game was created in 1923, 10 years before Charles Darrow. And, the locations are Philly, not Atlantic City. See it to believe it. Please go to my website and see it there.